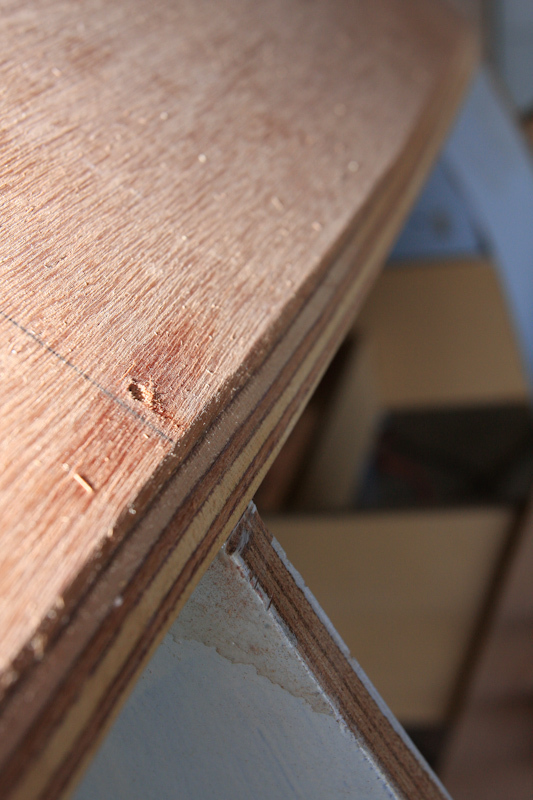 Each board is chamfered the full length to match hull shape and make for a close fitting to bulkheads. 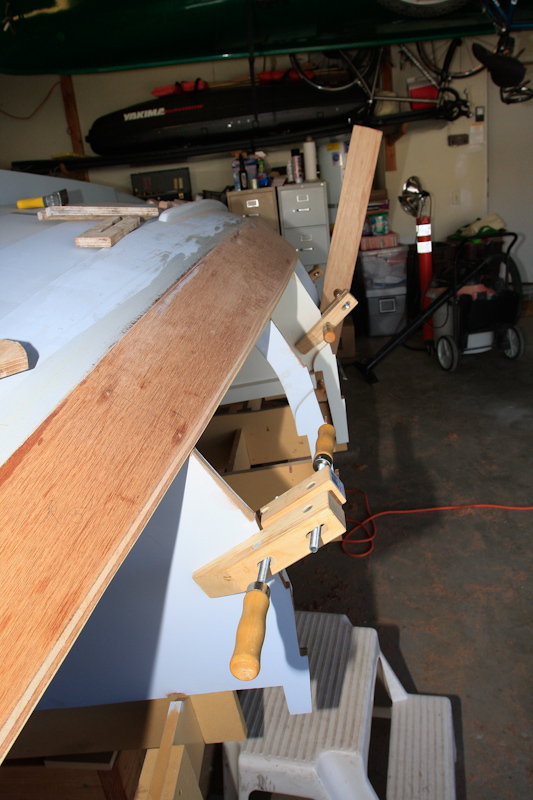 Bulkheads are also chamfered to boat shape. A bit more adjustment and this board will be ready.